Meizu, one of the most popular smartphone vendor in china is entering into India soon, A teaser for the same released few months back in March by the Chinese smartphone vendor Meizu on their Facebook page indicating us about their launch in India soon. 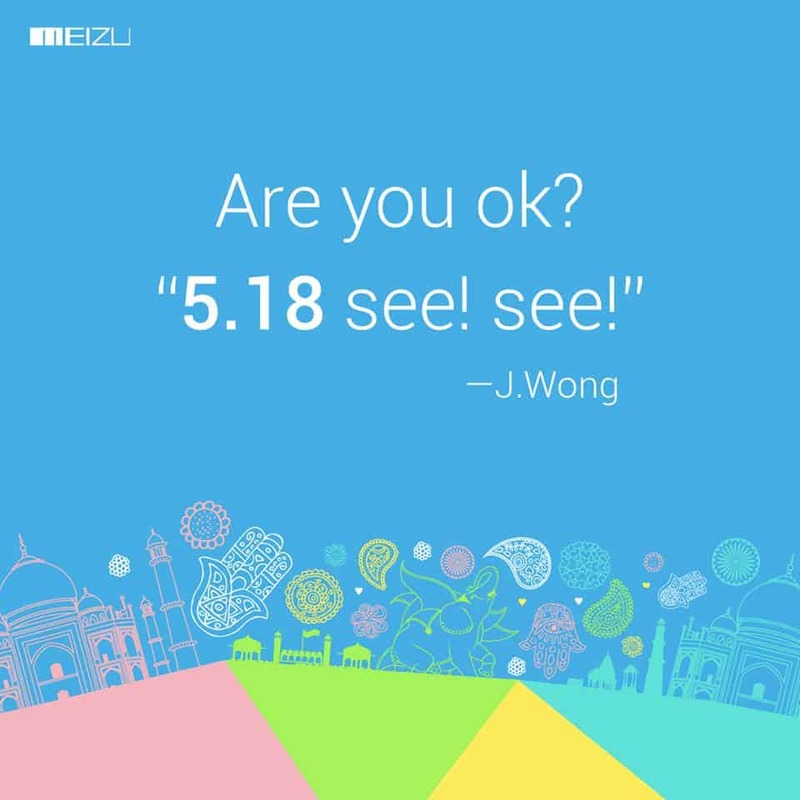 The date is supposed to be 18th May as per the Facebook page of Meizu. Meizu made use of the phase “Are You OK? 5.18 see! see! “ as their caption in the promotion, which is a referral to a viral video of Xiaomi’s co-founder. Meizu is nowhere to be found as compared to Xiaomi when it comes to the Market share, but it seems that Meizu is adjusting itself to become an alternative to Xiaomi. 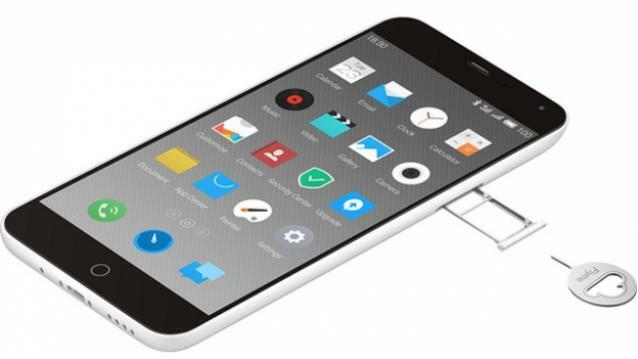 Alibaba also made an investment of $590 million in Meizu earlier this year. But we know Meizu is famous for its high-end smartphone for low price tag like Xiaomi. Meizu mayn’t give a good competition in terms of market share to Xiaomi but in terms of quality and the brand, Meizu is as same as Xiaomi and OnePlus. Smartphones like Meizu Mx4, MX4 pro are widely popular. As Xiaomi successfully completed 1 year in India and showed what it can do for people who love gadgets with low price tag, Lot of other mobile vendors turned up into queue and followed the same way. OnePlus already proved it with its’ “one” smartphone and recently ZTE is supposed to be launching it’s widely popular Nubia smartphones in India on May 19th, so we might expect huge competition between all these smartphones. Besides these there’re few other Indian mobile vendors like Micromax, Karbonn etc and other International brands like Motorola, Lenovo etc are coming up with low-budget, high-end smartphones. This might turn up the competition into a big battle. Coming to the Meizu launch event, Information regarding the device which shall be launched is still nowhere to be found, but in March Meizu had the M1 Note FHD smartphone as the cover pic for their Facebook India page. So it is rumored that this will be the first device to make its way to India. In terms of hardware breakdown, the Meizu m1 Note has a 5.5-inch display with a display resolution of 1920 x 1080 pixels and with a protection by a layer of Corning Gorilla Glass 3. It runs on a MediaTek MT6752 SoC octa-core processor bundled with 2GB of RAM. The m1 Note is pre-loaded with Android 4.4 KitKat along with Flyme 4 skin. The smartphone features a 13MegaPixel camera with LED Flash support on the back and 5MegaPixel front-facing Camera. The Meizu m1 Note is powered by a 3,140mAH battery and has LTE, WiFi 802.11 b/g/n , Bluetooth 4.0, GPS/A-GPS, GLONASS and MicroUSB as connectivity options. It is priced at $220 ( around 13,800INR ) which seems quite promising at this value. Remember the Xiaomi’s firsst device in India ? well it’s Mi3 which was released with similar specs in the same price tag ? Well, let’s see what’s going to be happening on Monday, May 18th!